Avendus Capital Pvt Ltd, India’s leading financial services company, today announced that it has raised INR 100 Crores in equity from private equity firm Eastgate Capital Group. The primary objective of this investment is to strengthen the institutional broking franchise of Avendus Capital and to fuel Avendus’ international expansion with a special focus on USA and Europe. Currently, Avendus Capital has its offices in Mumbai, Bangalore and New York. 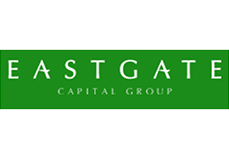 Eastgate Capital Group (ECG) is the private equity subsidiary of NCB Capital, the investment banking arm of the National Commercial Bank of Saudi Arabia (NCB). ECG has USD 800 Mn of commitments under management across three funds. The current investment in Avendus Capital is from the Eastgate Global Emerging Markets Fund. Speaking on this occasion, Mr. Nasr-Eddine Benaissa, Co-Managing Partner, Eastgate Capital, said, “We believe India is one of the most attractive markets in the world and is well positioned to be a driving force in the global economy. Indian financial services, and in particular investment banking and capital markets related businesses, will naturally benefit from this momentum. In this context, we are pleased to be partnering with a high performing firm such as Avendus, which has a strong track record, a highly talented team and a distinctive culture". Speaking on the investment, Mr. Ranu Vohra, Managing Director & CEO, Avendus Capital Pvt. Limited, said “We are excited about partnering with Eastgate Capital in our next phase of growth. As Avendus builds its capabilities in capital markets and institutional broking we believe that the team at Eastgate will help us in building our global network of relationships particularly in the Middle East, which is increasingly becoming the source of capital for fast growing Indian corporates. We have spent considerable time with the team at Eastgate and are impressed by their knowledge and expertise in financial services. We expect this relationship to be very rewarding for our team, clients and shareholders”. Mr. Rajiv Nakani, Director, Eastgate Capital Group will join the board of Avendus Capital. Mr. Nakani has over a decade’s experience in investing and investment banking and brings with him in-depth domain knowledge across various sectors. Avendus Capital is one of India’s leading institutional financial services companies. With offices in Mumbai, Bangalore and New York, Avendus offers its clients a wide range of services globally including corporate advisory i.e. M&A, private equity and structured finance advisory, institutional broking and equity capital markets. Started in 1999, Avendus has helped close more than 110 transactions worth USD 2.5 Bn. Avendus has been ranked among the top six investment banks in India by Bloomberg for the last three years in M&A and private equity advisory businesses. Avendus has focused on creating value for its clients, who include mid and large sized corporates, investors and high net worth individuals through its strong research, domain knowledge and global network. Based in Dubai and licensed by the Dubai Financial Services Authority, Eastgate Capital Group (ECG) is the Private Equity subsidiary of NCB Capital. ECG’s mandate is to source, structure and invest in attractive private equity and real estate opportunities across global emerging markets. ECG currently has USD 800 Mn in commitments under management across three funds: a MENA Private Equity Fund, a Global Emerging Markets Private Equity Fund, and a GCC Real Estate Fund. ECG has several portfolio investments in global emerging markets across several sectors, including financial services, education and healthcare. NCB Capital (NCBC), a joint stock company incorporated in the Kingdom of Saudi Arabia, is the investment banking subsidiary of the National Commercial Bank of Saudi Arabia (NCB). NCBC specializes in investment banking, asset management and brokerage services and is licensed by the Capital Markets Authority in Saudi Arabia. The team at NCBC has successfully invested NCB’s proprietary capital in alternative assets since 1995. Such investments include hedge funds, structured credit and private equity. NCBC has also been actively investing in regional and global stock markets. NCBC has a paid-up capital of USD 270 Mn and approximately USD 11 Bn of assets under management. With over 50 years of history, NCB was the first bank established in the Kingdom of Saudi Arabia. As of December 2007, NCB had total equity of approximately USD 7.9 Bn, making it the largest bank in the Middle East (ranked by equity size). For the year ending December 2007, NCB earned a net profit of USD 1.6 Bn on an asset base of USD 56 Bn. NCB has over 5,100 staff and currently operates 264 branches throughout the Kingdom of Saudi Arabia. The bank also operates branches in Beirut, Lebanon and has representative offices in London, Seoul, Tokyo and Singapore. In 2007, NCB acquired a 60% stake in Türkiye Finans Katilim Bankasi, one of the leading Participation Banks in Turkey. NCB currently maintains an A+ S&P credit rating and a Fitch Agency credit rating of A.